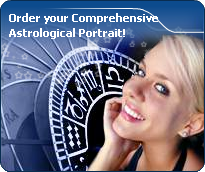 You will find on these pages astrological charts of thousands of celebrities with Ceres in Capricorn. Kobe Bean Bryant (born August 23, 1978(1978-08-23)) is an American All-Star shooting guard in the National Basketball Association (NBA) who plays for the Los Angeles Lakers. Bryant is the only son of former Philadelphia 76ers player and former Los Angeles Sparks head coach Joe "Jellybean" Bryant.